EAST TOWER - PLATINUM SALE ON NOW! 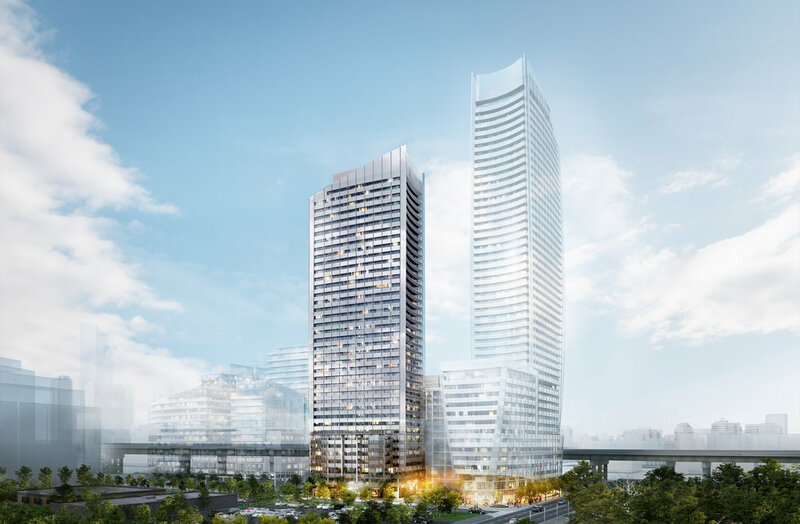 Lakeside Residences by Greenland Group (Canada) currently in pre-construction at 215 Lake Shore Boulevard East, Toronto has made its South Lake suites tower available to a small number of platinum agents. Housing a total of 1148 units over 49 storeys, this gorgeous lakefront condominium is set to be completed in 2022. The project is located in the Downtown East Waterfront district- one of the fastest growing and appreciating areas of Toronto. With a total of 7 towers with ground floor retail and green spaces. The suite mix will consist of 1 bedroom to 3 bedroom units Lakeside residences has a total of 1148 units. It is situated on a parcel of land that equates to approximately 3.8 acres in the rapidly-transforming East Bay front neighborhood of Toronto’s waterfront. Phase one will feature 3 towers ascending 49, 39 storeys and 14 storeys respectively in the Lakeshore Blvd. E and Lower Sherbourne area, where it’s currently home to a FedEx shipping centre. This is a great opportunity for real estate investing into exclusive Toronto waterfront condos. The Downtown East Waterfront District is the future home of the incredibly exciting Google Smart City project. This futuristic experiment will be one of the first of its kind, bringing innovation, technology and urbanism together to connect the neighbourhood and its people in ways never before thought possible. With a $50M (US) investment in to this neighbourhood, all eyes will be on Downtown East Waterfront, including Lakeside Residences. Greenland Group is a development firm with international reach. The organization recently purchased a four-acre parcel of land on Lakeshore Boulevard East in Toronto, with big plans for the neighbourhood and community. A global Fortune 500 conglomerate, they’ve experienced a steady growth in market expansion over the years. They now have properties in Paris, London, Melbourne, New York and Los Angeles, as well as Toronto. Possibly the largest international developer, Greenland Group is bold and fearless in its construction. 5% - only on April 1, 2022!! !